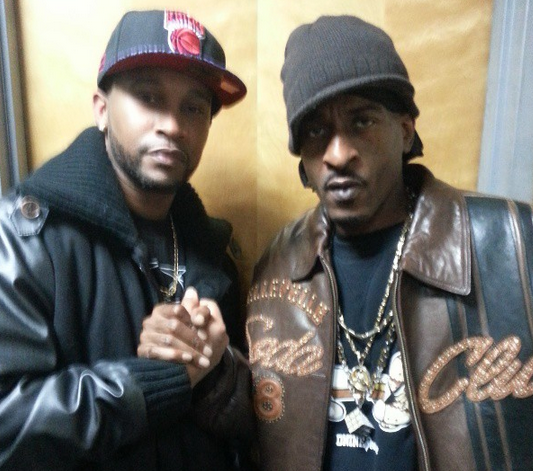 Welcome to the 2nd annual #RakimWeek, a week-long celebration of the music of God MC Rakim. This year, we're starting the week off a little bit differently, by tuning our ears not to Ra but to his literal next generation, beginning with nephew JReadi. Pictured here with uncle Rakim, JReadi attended North Hills High School in Dix Hills, just north of Wyandanch. According to his ReverbNation page, he started getting busy in 2004, was mentored by Spiv Dolla, and made early appearances on the 2008 Fly Guy Family mixtape, Rise of the Empire. Since then, he's released two mixtapes, 2010's The Welcome Mat (which featured Rakim on its last track, "Talking to God") and 2015's The Pretape (a precursor to the upcoming album, Radio Readi, which has been in the works for a while). Stream both tapes below, along with videos for "Don't Sweat the Technique" and "Insufficient Funds," and visit his PR site for more. #RakimWeek continues until Saturday, with more Ra-related info, music, etc. each day of the week.